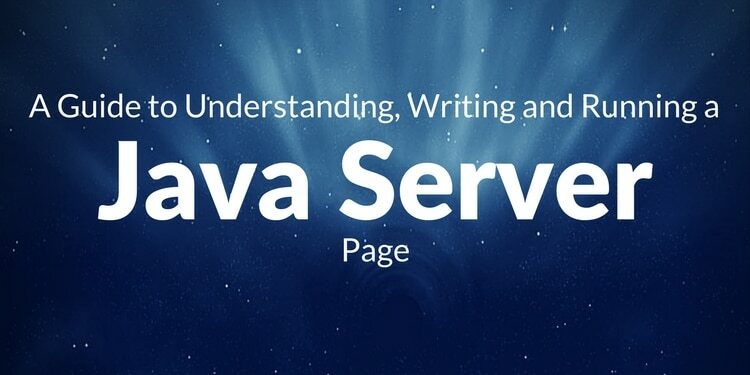 Java Server Pages is a technology for developing web pages that include dynamic content. With JSP, designers and developers can quickly incorporate dynamic content into web sites using Java and simple markup tags. The JSP platform lets the developer access data and Java business logic without having to master the complexities of Java application development. A JSP page contains standard markup language elements, such as HTML tags, just like a regular web page. However, a JSP page also contains special JSP elements that allow the server to insert dynamic content in the page. JSP was released during the time servlet technology had gained popularity as one of the best web technologies available. JSP is not meant to replace servlets, however. In fact, JSP is an extension of the servlet technology, and it is common practice to use both servlets and JSP pages in the same web applications. JavaServer Pages (JSPs) are, in the most basic sense, web pages with embedded Java code. The embedded Java code is executed on the server before the page is returned to the browser. Follow the step by step instructions, you will learn how to write a simple JSP page and run it. Tomcat is used to run JSP applications. Add a subdirectory named WEB-INF under the jsp directory. Since the configuration file has been changed, you have to restart Tomcat. As you can see, the page is composed of standard HTML with a dash of Java contained between the character sequences. The along with the code inside is called a scriptlet. Now, start your web browser, and type the following URL: http://localhost:8080/jsp/HelloWorld.jsp If successful you will see "Hello World" printed to your browser screen. Like most source code, JSP pages start life as text files and end up being compiled. Inside the JSP container is a special servlet called the page compiler. The servlet container is configured to forward to this page compiler all HTTP requests with URLs that match the .jsp file extension. When a .jsp page is first called, the page compiler parses and compiles the .jsp page into a servlet class. If the compilation is successful, the jsp servlet class is loaded into memory. On subsequent calls, the servlet class for that .jsp page is already in memory; however, it could have been updated. Therefore, the page compiler servlet will always compare the timestamp of the jsp servlet with the jsp page. If the .jsp page is more current, it will be recompiled. So in a way, a JSP page is really just another way to write a servlet without having to be a Java programmer. JSP container exposes a number of its internal objects to the page author. These are referred to as implicit objects, because their availability in a JSP page is automatic. The developer can assume that these objects are present and accessible via JSP scripting elements. JSP implicit objects are summarized below;. page -- Pages servlet instance. 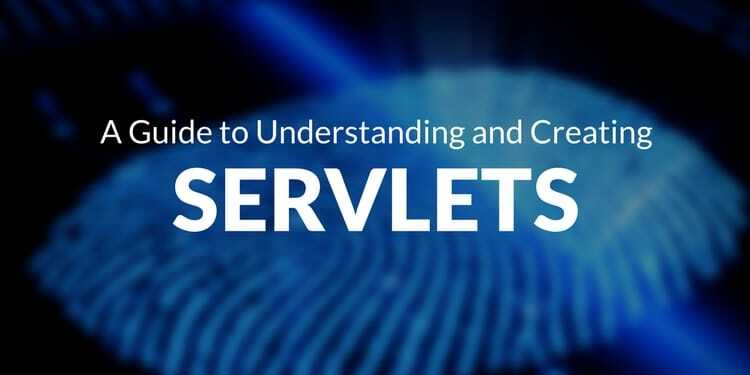 config -- Servlet configuration data. request -- Request data, parameters. response -- Response data. out -- Output stream for page content. session -- User-specific session data. application -- Data shared by all application pages. pageContext -- Context data for page execution. exception -- Uncaught error or exception. For now, you have learned that a JSP page can have Java code and HTML tags. More formally, you can say that a JSP page has elements and template data. The elements, which also are called JSP tags, make up the syntax and semantics of JSP. Template data is everything else. Template data includes parts that the JSP container does not understand, such as HTML tags. The language attribute specifies the language to be used in all scripting       elements on the page. By default, the value is "java" and all JSP containers must support Java as the scripting language. Note: It does not have any effect on the generated servlet. In fact, this attribute is useful only in a JSP container that supports a language other than Java as the scripting language. The info attribute allows the author to add a documentation string to the page that summarizes its functionality. It can be retrieved later using the getServletInfo method. The JSP container then will create a getServletInfo method in the resulting servlet. This method returns the value of the info attribute specified in the page. The import attribute is similar to the import keyword in a Java class or interface. The attribute is used to import a class or an interface or all members of a package. You will definitely use this attribute often. The extends attribute identifies the superclass to be used by the JSP container when it is translating the JSP page into a Java servlet. You  should use this attribute with extra care. In most cases, you should not  use this attribute at all. In Tomcat, the parent class that will be  subclassed by the resulting servlet is HttpJspBase. The buffer attribute controls the use of buffered output for a JSP page. To turn off buffered output, so that all JSP content is passed immediately to the HTTP response, this attribute should be set to none, as follows: <%@ page buffer="none" %> Note that the JSP container has the discretion to use a buffer size larger than specified to improve performance. The isErrorPage attribute is used to mark a JSP page that serves as the  error page for one or more other JSP pages. When this attribute is set to  true, it indicates that the current page is intended for use as a JSP  error page. <%@ taglib uri="tagLibraryURI" prefix="tagPrefix" %>. Here is an example of a scriptlet for database connection. Three different ways can be used to insert comments into a JSP page. Those familiar with HTML and XML will recognize that this is the standard comment syntax      for those two markup languages. In this case, the comment is actually sent to the browser. The body of this comment is ignored by the JSP container. JSP comments are      useful for commenting out portions of a JSP page, as when debugging. Comments may also be introduced into a JSP page within scriptlets, using the native comment syntax of the scripting language. Java, for example, uses /* comment */ as comment delimiters. With Java as the JSP scripting language, scripting language comments take the following form: <% /* comment */%> Like JSP comments, scripting language comments will not appear in the page’s output. Unlike JSP comments, though, which are ignored by the JSP container, scripting language comments will appear in the source code generated for the servlet. This section provides an overview of Standard Action elements. Standard action elements basically are tags that can be embedded into a JSP page. At compile time, they also are replaced by Java code that corresponds to the predefined task. The jsp:useBean, jsp:setProperty, and jsp:getProperty elements are related to Bean. The jsp:param element is used in the jsp:include, jsp:forward, and jsp:plugin elements to provide information in the name/value format. <jsp:getProperty name="bean name" property="property name"/> Here's an example of using the <jsp:getProperty> tag to get the company name. We use <jsp:setProperty> to modify the properties of beans. The <jsp:setProperty> tag can be used anywhere inside the JSP document after the bean has been defined with the <jsp:useBean> tag. The syntax is as follows: <jsp:setProperty name="bean name" property="property name"value="property value"/> Here’s an example of using the <jsp:setProperty> tag to set the company name. The <jsp:include> action element is used to incorporate static or dynamic resources into the current page. This action element is similar to the include directive, but jsp:include provides greater flexibility because you can pass information to the included resource. In contrast, the JSP include directive does not automatically update the including page when the included file is modified. The page attribute represents the URL of the included resource in the local server. The <jsp:plugin> action is used to generate browser-specific HTML for specifying Java applets which rely on the Sun Microsystems’ Java plug-in. Custom tags are the standard extension mechanism for JSP, and are among its newest features. A key advantage of JSP over many of the other commonly used dynamic content systems is its ability to separate presentation from implementation through the use of HTML-like tags. By avoiding the use of JSP elements that embed scripting language code in the page, maintenance of JSP pages is greatly simplified, and the opportunity to reuse the Java code that provides the underlying functionality is preserved. Custom tag libraries can be written to provide added functionality for a JSP application without having to resort to the use of Java code within your JSP pages. On the other hand, custom tags are explicitly designed to add functionality to JSP pages, including the dynamic generation of page content such as HTML. If you need to generate HTML content programmatically via Java, custom tags are an ideal implementation technique. Custom tags can be used to insert text into the page, and also to implement flow of control. Attributes can be specified for custom tags, as parameters that influence their behaviour. Advantages of using custom tags. Tags are reusable, which saves precious development and testing time. Tags can be customized using attributes, either statically or dynamically. Tags have access to all of the objects available to the JSP page, including request, response, and output variables. Tags can be nested, which allows for more complex interactions within a JSP page. Tags simplify the readability of a JSP page. This section presents the step-by-step approach to building a JSP application that uses custom tags. 1. 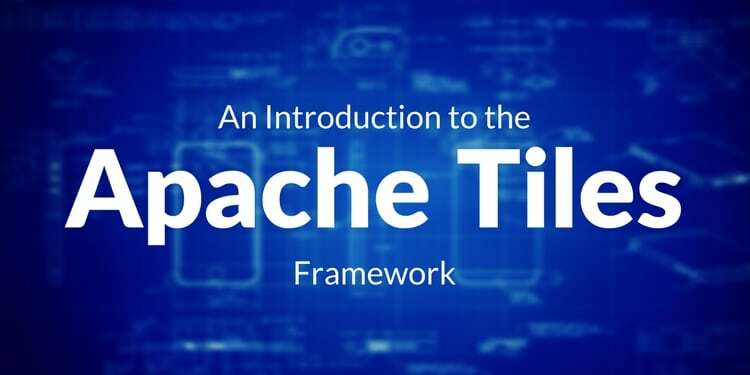 Create a TLD file named taglib.tld and save it in the WEB-INF directory under C:\Program Files\Apache Group\Tomcat X.X\webapps\jjolt. Write and compile the Java class called MyCustomTag.java. Make sure that the .class file is located in the following directory. C:\Program Files\Apache Group\Tomcat X.X\webapps\jjolt\jsp\WEB-INF_ classes\com\jjolt directory. Edit the deployment descriptor (web.xml) file. To use custom tags, you must specify a <taglib> element in your web.xml file. The <taglib> element must appear after the <servlet> and <servlet-mapping> if any. An example of the deployment descriptor is given bellow. <display-name>template</display-name> <taglib> <taglib-uri>/myTLD</taglib-uri> <taglib-location>/WEB-INF/taglib.tld</taglib-location> </taglib> 4. Restart Tomcat. Open your web browser and type http://localhost:8080/jjolt/jsp/SimplePage.jsp in the Address box. If sucessful you will see "Hello World" printed to your browser screen. When the user requests the JSP page, the JSP container sees the <taglib> tag. Because of this, the JSP container knows that it is seeing a custom tag. It then: * Consults the deployment descriptor (web.xml) to find the location of the taglib where the URI is "/myTLD". The deployment descriptor returns the path to the TLD file. The JSP container will remember this path. * Continues processing the next line and encounters the custom tag myCustomTag. Having found out the name and location of the TLD file, the JSP container reads the TLD file and obtains the fully qualified name of the Java class for the tag myTag. That is com.jjolt.MyCustomTag. The JSP container can then load the class for the tag and start processing it. 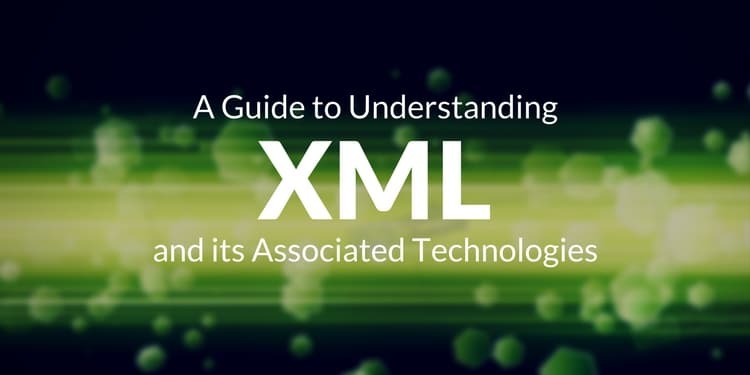 A tag library descriptor (TLD) is an XML document that describes a tag library. A TLD contains information about a library as a whole and about each tag contained in the library. TLDs are used by a Web container to validate the tags and by JSP page development tools. A TLD file contains the <taglib> root element. This element can have the following subelements: * tlib-version: The tag library's version. * jsp-version: The jspversion element specifies the JSP version. The format is the same as the tlibversion element. * short-name: The shortname element specifies a short name for the tag library. * uri: The uri element specifies the link to an additional source of documentation for the tag library. * display-name: Optional name intended to be displayed by tools. * description: Optional tag-specific information. * listener: See Listener Element. * tag: See Tag Element. name: The unique tag name. tag-class: The fully-qualified name of the tag handler class. tei-class: Optional subclass of javax.servlet.jsp.tagext.TagExtraInfo. body-content: The body content type. display-name: Optional name intended to be displayed by tools. small-icon: Optional small-icon that can be used by tools. large-icon: Optional large-icon that can be used by tools. variable: Optional scripting variable information. See Providing Information About the Scripting Variable. The Listener Element specifies event listeners for the tag library. The listeners are listed in the TLD as listener elements and the Web container will instantiate the listener classes and register them. <%@ taglib uri="tagLibraryURI" prefix="tagPrefix" %> * The uri attribute specifies an absolute or relative URI that uniquely identifies the tag library descriptor associated with this prefix. * The prefix attribute defines a string that will become the prefix to distinguish a custom action. After you have defined the taglib directive, you can then use the custom tag. If the custom tag does not have a content body, you can use the custom tag with the following format. <prefix:tagName/> Otherwise, you can use the following format for a custom tag that has a content body: <prefix:tagName>body</prefix:tagName> You can pass attributes to the tag handler by specifying the attribute(s) in the custom tag, each with the following format: attributeName="attributeValue" An example of using the custom tag is given bellow. <mytag:myTag id="126" name="john"/> The tag has two attributes: id with the value of 126 and name with the value of john. A tag handler is an object invoked by a Web container to evaluate a custom tag during the execution of the JSP page that references the tag. Tag handlers must implement either the Tag or BodyTag interface. In JSP, the javax.servlet.jsp.tagext has four interfaces and twelve classes. The two most important interfaces are Tag and BodyTag. These two interfaces also set the life cycle of a tag handler. They are explained in details below. You can write a tag handler by simply implementing the Tag interface and providing blank implementations of all its six methods. A simple example of the tag handler is shown below. If the tag handler needs to interact with the body, the tag handler must implement BodyTag. Such handlers typically implement the doInitBody and the doAfterBody methods. These methods interact with body content passed to the tag handler by the JSP page's servlet. The following example shows a tag handler that manipulates the body content of a JSP custom tag. It converts a body content to uppercase and outputs it to the browser. Although the interfaces of Tag and BodyTag provide a great way to write tag handlers, one apparent drawback is you must provide implementations for all the methods, including those you don't use. This makes the code look more complex than necessary. To solve this problem, the javax.servlet.jsp.tagext package provides support classes that implement those interfaces. These classes are TagSupport and BodyTagSupport. Now, instead of implementing an interface, you can extend one of these classes. The TagSupport class implements the IterationTag interface. It has the following signature. public class TagSupport implements IterationTag, java.io.Serializable The TagSupport class is intended to be used as the base class for tag handlers. The BodyTagSupport class implements the BodyTag interface. It has the following signature. public class BodyTagSupport extends TagSupport implements BodyTag This class is meant to be subclassed by tag handlers that need to implement the BodyTag interface. To illustrate the usefulness of these support classes, we convert the above example using BodyTag to make use of BodyTagSupport class. See how simple the tag handler has become. And it is much easier to write and debug. Having gone through this guide, designers and developers can quickly incorporate dynamic content into web sites using Java and simple markup tags. The guide is easy to understand and implement.